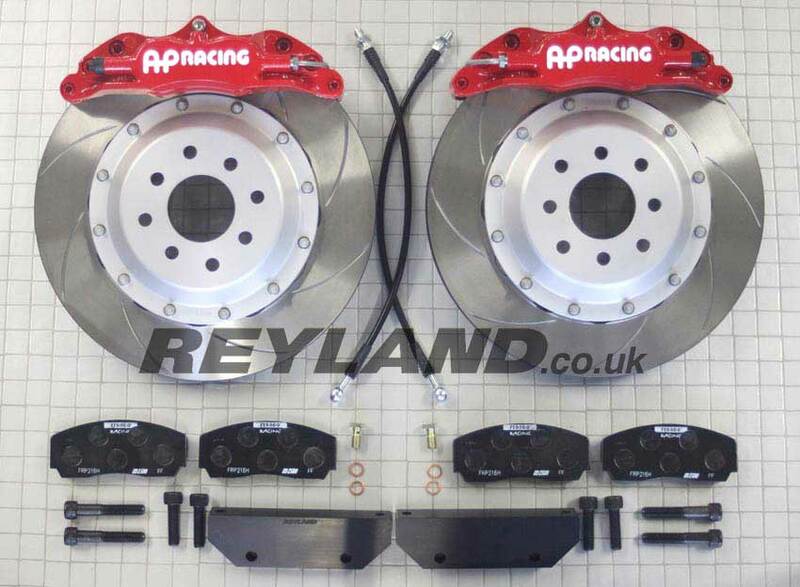 The Reyland Track 295 front brake conversion features 4-piston AP Racing CP5040 calipers, two-piece 295x25.4mm AP Racing discs and Reyland billet alloy cnc machined mounting brackets and bells. The kit is supplied with all required parts including discs, pads, bolts, brackets, braided brake hoses and unions. 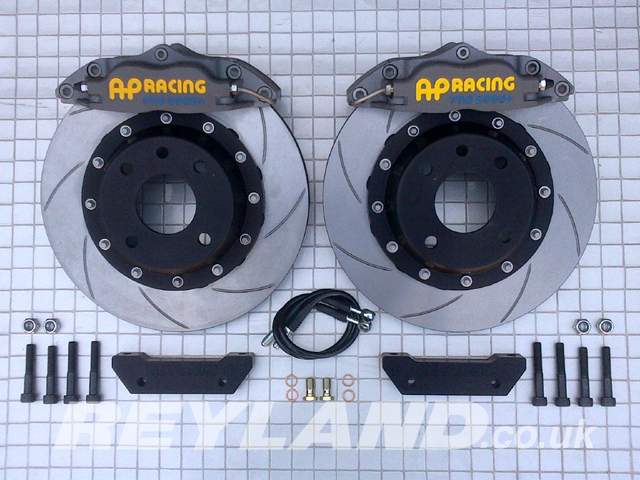 The Reyland Track 350 front brake conversion features 4-piston AP Racing CP6600 calipers, two-piece 350x30mm precision ground discs and Reyland billet alloy mounting brackets and bells. The kit is supplied with all required parts including discs, pads, bolts, brackets, braided brake hoses and unions. Ideal for cars with 17 or 18" wheels.